Clover Wireless' industry-leading technology, RapidQuote, automates the trade-in process by automatically surfacing the trade-in value right on the customer's device. RapidQuote is browser-based and does not require an app to be downloaded. It simplifies the in-store trade-in process, while enhancing the user experience and eliminating make and model variance. 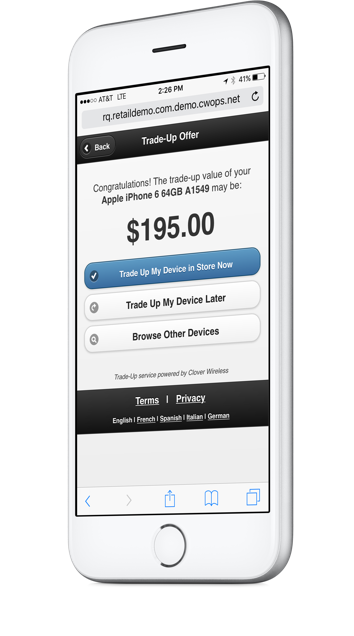 Trade-in can lower device prices for new customers without the added cost of subsidizing existing ones. Trade-in will positively influence movements along the device lifecycle.